The American Civil Liberties Union is a group that was founded to protect the constitutional freedoms of Americans. The ACLU website brags, “For almost 100 years, the ACLU has worked to defend and preserve the individual rights and liberties guaranteed by the Constitution and laws of the United States.” Yet there seems to be one freedom that is too controversial for the ACLU to protect. After the Virginia branch of the ACLU aided the alt-right groups that participated in the riot in Charlottesville last weekend, the Wall Street Journal reports that the ACLU will not defend the right of “hate groups” to march with firearms. The group will also consider the potential for violence when considering whether to work with potential clients. There were many pictures of the white supremacist marchers openly carrying guns, which is legal in Virginia. 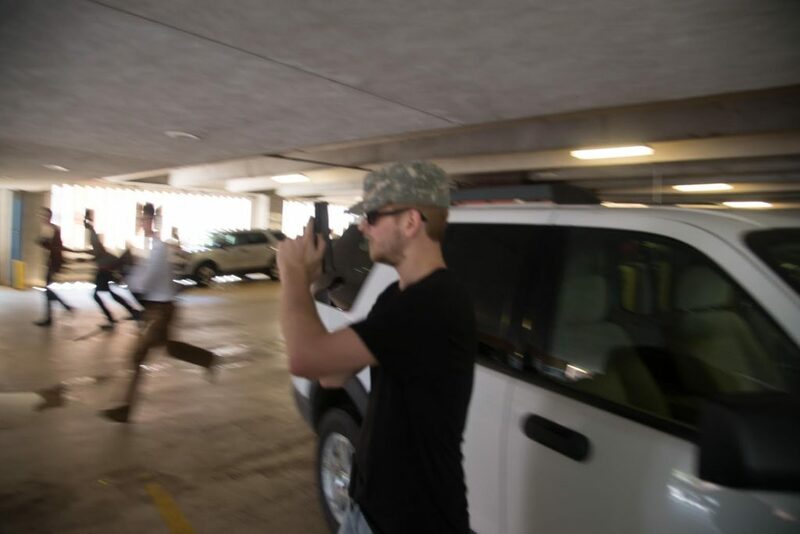 At this point, it is unclear if any of these guns were fired during the riot, but photographer Zach Roberts did photograph an alt-right militant using a pistol to provide cover to the white supremacists who savagely beat Deandre Harris, a black special education teacher, with metal poles. The question is one of intent. How can the ACLU determine whether marchers are peacefully exercising their Second Amendment rights or using guns to intimidate political opponents? Without evidence, the answer to that question is in the eye of the beholder. Until they show intent to break the law, white supremacists have the same rights as any other American. The ACLU has recognized this for decades. As far back as 1978, the group defended the right of neo-Nazis in to march in Skokie, Illinois. The freedom of speech and the right to bear arms are both enshrined in the Constitution that the ACLU claims to protect. These rights apply to neo-Nazis and Klan members just as they do to every other American. The ACLU has said that it would continue to deal with requests for aid by white supremacist groups on a case-by-case basis, but it is disingenuous to protect one right and not the other, even after Charlottesville. No right is absolute. Just as freedom of speech does not include yelling “fire” in a crowded theater, the right to carry is subject to reasonable limits. It should be up to state and local governments to learn from Charlottesville and, if they see a legitimate need, enact constitutional legislation that restrict weapons under certain conditions. Virginia law already contains restrictions on the right to carry in certain circumstances. If anyone, white supremacist or otherwise, abuses their right to bear arms by using legal guns to commit crimes, they should face stiff penalties. If this gunman, who used his gun to aid in the assault and battery of Deandre Harris, can be identified, he should be prosecuted to the fullest extent of the law, including the loss of his Second Amendment rights if he is convicted of a felony. If the alt-right had not exercised their right to freely assemble and speak their minds, the Charlottesville riot would never have happened. In spite of that, the ACLU is not denying First Amendment aid to racist groups. Why should the Second Amendment be any different?